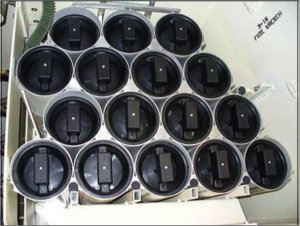 The A4 upgrade includes the addition of Nuclear, Biological, and Chemical/ Reliability, Availability, and Maintainability (NBC/RAM) product improvement kits. The driver and cannoneer no. 2 have an air purifier and two heaters mounted in the hull. An air purifier and four heaters are mounted in the cab for the rest of the crew. NBC Mission Oriented Protective Posture (MOPP) gear is stored in the new cannoneer seats and stowage boxes. 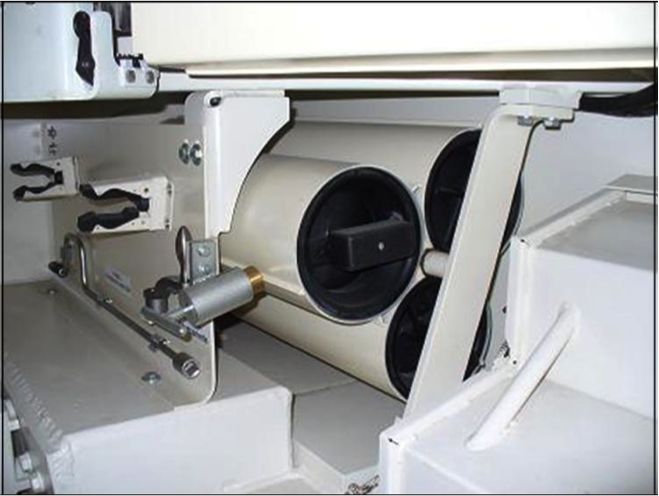 The traversing mechanism is operating with a hydraulic clutch in the M109A4 instead of operating with an electric clutch as in the traversing mechanism in the M109A2/A3 howitzers. A clutch valve with an override valve provides for power traversing in the event of an electrical failure to the clutch valve solenoid. The M109A4 has two hydraulic filters mounted outside of the power pack. The M109A2/A3s have one internal hydraulic power pack filter. The M109A4 has a combat override switch to allow for emergency starting. The slave start receptacle has been moved from the battery compartment to the driver’s compartment. The M109A2/A3 100 amp alternator has been replaced by a 180 amp alternator. Crew compartment subfloor drains have been added to provide for the drainage of DS2 used in the NBC decontamination process and provide for the drainage of excess water. With the installation of the SAL the firing rate is as follows: 3 rounds within the first 20 seconds and a total of 6 rounds within the first minute. In addition with the SAL a Breech Activating Device (BAD) makes sure that the breech is closed and opened in any position (elevation) of the canon. A Temperature Measurement Sensor helps the crew in recognizing a “cook off” of a propellant charge. These systems (SAL-BAD-TMS) have been developed and delivered by the German firm “Rheinmetall Landsysteme GmbH”. The installation has been executed by personnel of the Belgian Defense. With the Metric Hydraulic System all the hydraulic components of the M109A4BE are connected. The MHS consists of standardized elements with metric measures. 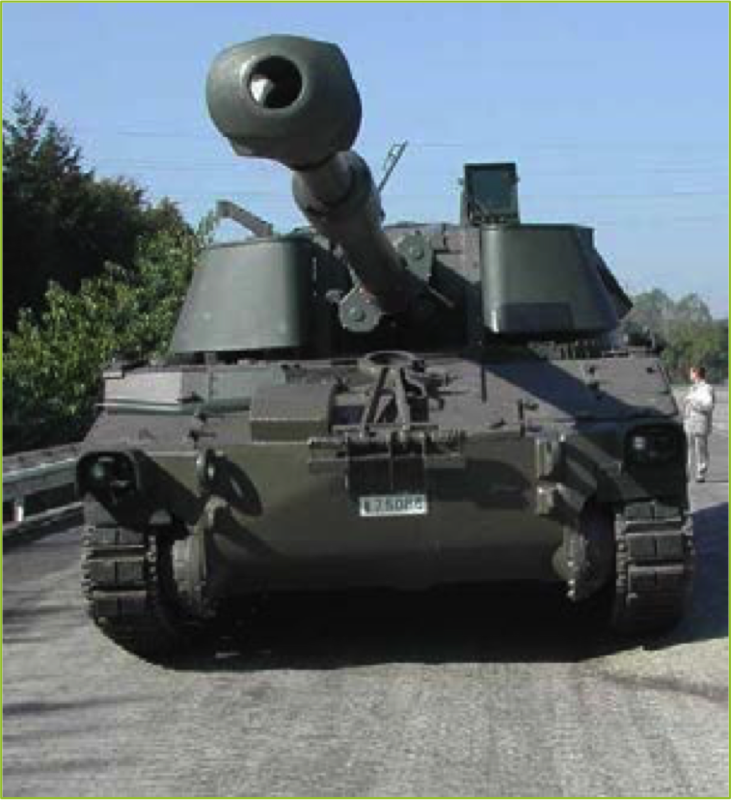 The APU improves the availability of the M109. This system has been developed and delivered by the German firm “Kissling Service GmbH”. The installation has been executed by the Belgian firm “Espace Mobile International s.a.”. 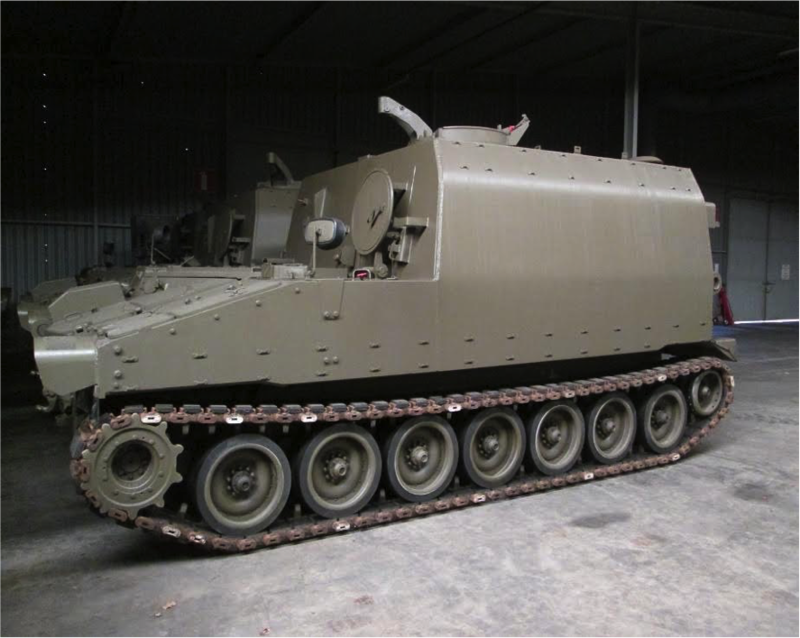 This system has been developed and delivered by the German firm “Rheinmetall Landsysteme GmbH”. The installation has been executed by the Belgian firm “Espace Mobile International s.a.”. 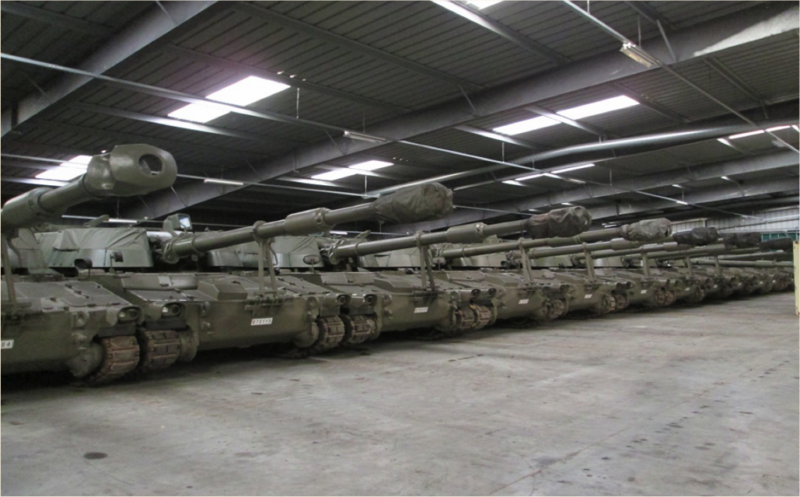 32 of the howitzers type M109A4BE are equipped with an Improved Ballistic Cover in order to improve the visibility for the cannoneer. The IBC offers a solution for the problems caused by condensation, rain, dirt and the reflection of the sunlight. The IBC has been developed and delivered by the Dutch firm “RDM Technology”. The installation has been executed by personnel of the Belgian Defense. Additional information will be provided on request.